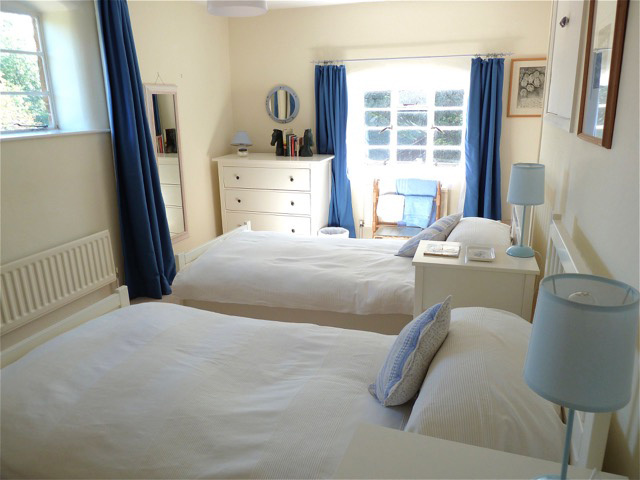 Sansome House Cottage, a delightfully situated village cottage in Ilmington, is a cottage for all seasons. Cosy in winter - centrally heated and with a log fire - and, being a stone house, cool in summer. 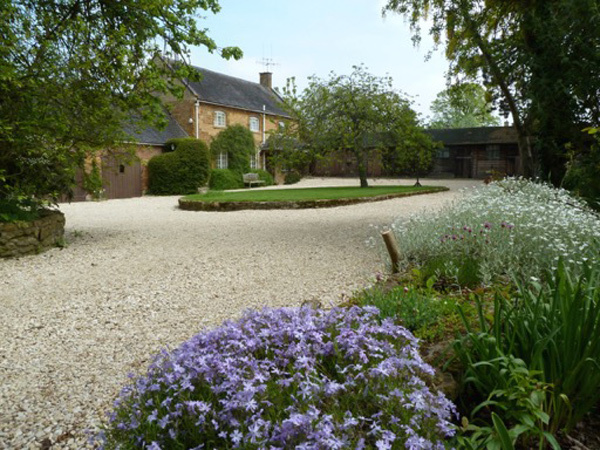 Formerly a farm building for the 18th Century farmhouse across the courtyard and sympathetically converted to modern comforts whilst retaining some of the original features, the style is that of a small country house rather than a chinzy cottage or minimalist space. Its setting in the grounds of the owners' house affords quietness and seclusion. 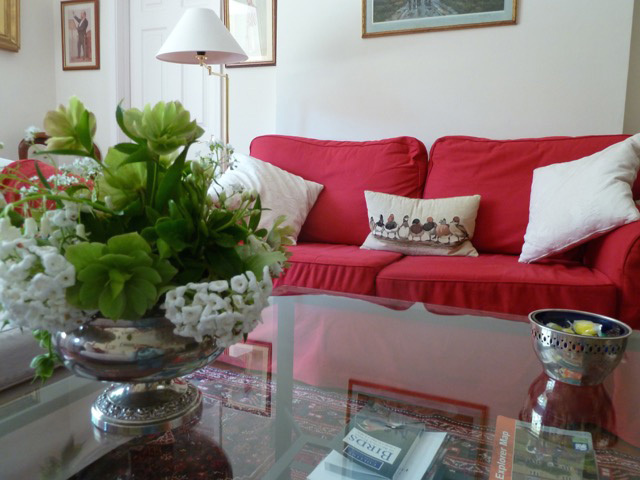 Sleeping 4 people in two spacious and comfortable bedrooms (one twin and one double), it is equipped as a home from home. There is a bathroom and a shower room. 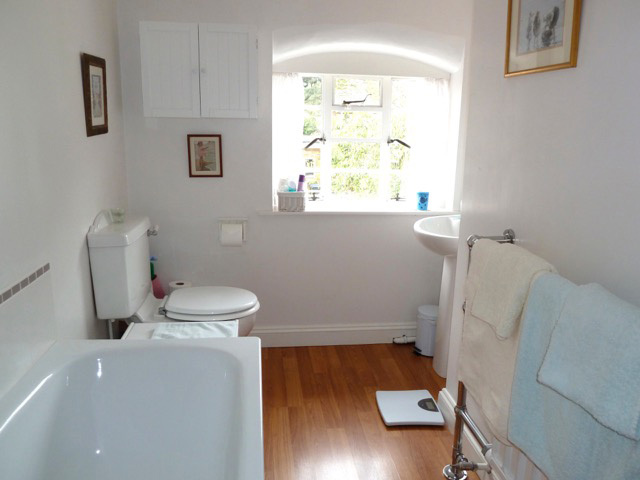 It is a perfect base from which to explore the wider area or just relax in the small and completely secluded garden in summer or huddle round an open log fire in winter, reading (books abound), watching DVDs or playing board games, or perhaps ambling round to the pub for a drink or a meal. 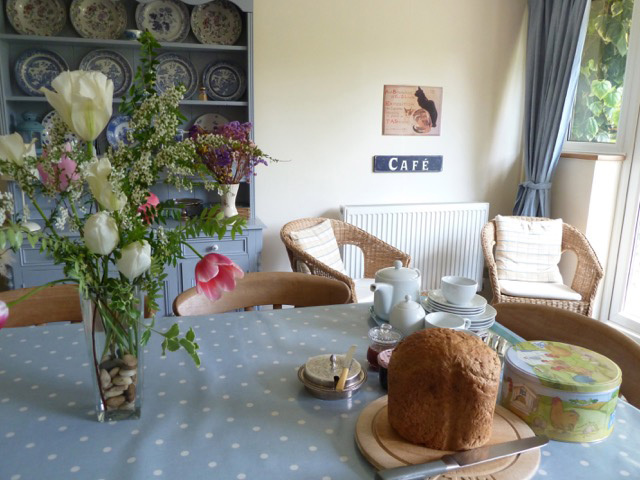 The large farmhouse style kitchen/diner is exceptionally well equipped and we have tried to think of everything you might need on holiday from providing a welcoming tea tray and starter quantities of the basics in the cupboards to ensuring there is a type of coffee maker to suit everyone. The village has two good pubs (with a 10% discount on food for you at one of them) and an excellent village shop. Ilmington, lying 4 miles from picture postcard Chipping Campden, once a bustling centre of the medieval wool trade also has buildings reminiscent of a past shaped by sheep. The wealth of the wool merchants is evident in the grander buildings. Ilmington has a Manor and a Dower house with mullioned windows, large old farmhouses with stone roof tiles and pretty little cottage of later generations, most constructed of the typical Cotswold honey-coloured stone and all interspersed with rambling village footpaths through meadows and between the houses making for a very pretty village with a Norman Church at its centre. The village is nestled in the rolling hills of the Ilmington Downs, part of the wolds of the Cotswolds area of outstanding natural beauty. There is something for everyone in the area - theatres, gardens (the most famous, Hidcote, is 3 miles distant), historic houses, castles, galleries and museums, photographic opportunities galore, riding, fishing, even flying, but the village appeals most to those looking for rural stay, with an abundance of wonderful marked walking and cycling trails on the doorstep.